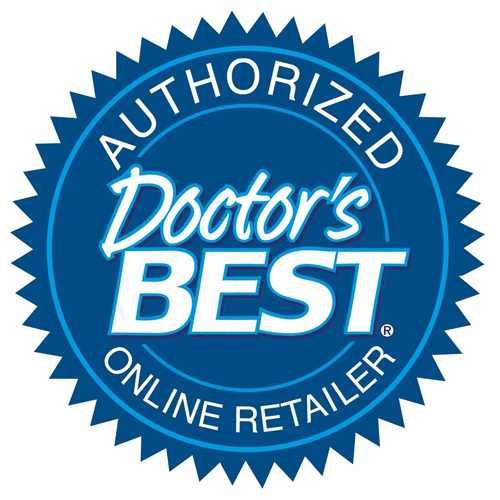 Doctors Best Digestive Enzymes is a uniquely formulated, full-spectrum high potency digestive enzyme blend created to complement and support the body’s own digestive capacities. Each capsule provides the body with vegetarian microbial-derived enzymes designed to optimally aid the digestion of fats, proteins and carbohydrates present in cooked and raw food. The formula supplies the added support of alpha-galactosidase and beta-glucanase to break down vegetables, beans and grains and enzymes such as glucoamylase and invertase to assist with the digestion of sugars. In addition, this complete formula contains friendly bacteria and other cofactors to uniquely support and maintain optimal intestinal health. Digestive enzymes are produced by the pancreas and secreted into the duodenum (upper small intestine), where proteins, carbohydrates and fats are broken down prior to absorption. Supplementation with the enzymes in Digestive Enzymes supports replenishment of the body`s enzyme levels, helping to support and maintain a healthy digestion process. 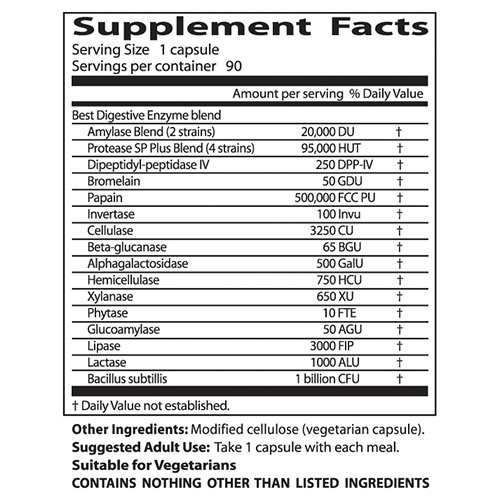 Enzyme supplementation promotes enhanced digestion and delivery of vital nutrients to the body. This benefits good health in many ways, including better elimination, support for healthy energy levels and maintenance of healthy body weight. The nature of the digestive process in the human body is such that it is highly energy-intensive. The pancreas is the organ that produces most of the digestive enzymes required for food breakdown and secretes them into the small intestine. The lower the efficiency of digestion in the stomach, the higher the requirement for newly manufactured pancreatic digestive enzymes. CONTAINS NO animal derivatives, suitable for vegetarians. Adults: Take 1 capsule with each meal. An enzyme that facilitates the breakdown of carbohydrates such as raffinose and stachyose. 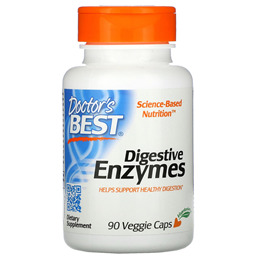 This enzyme is especially helpful in supporting the digestion of raw vegetables and beans. Helps reduce indigestion and flatulence from a high-fibre diet consisting of grains, beans and other vegetables. This enzyme functions to break down carbohydrates such as starch and glycogen, a storage form of glucose. An important enzyme that facilitates the digestion of beta-linked glucose bonds associated with whole grains such as barley, oats and wheat. This enzyme helps free the nutrients found in both fruits and vegetables by breaking down cellulose, a plant fibre. This enzyme complements the function of hemicellulase by breaking down polysaccharides from plants. This enzyme assists in the breakdown of carbohydrates and is most useful for enhancing the efficiency of polysaccharide digestion from plant foods. This enzyme facilitates the breakdown of carbohydrates and is especially effective at helping to digest sucrose, common table sugar. This enzyme is necessary for the proper utilisation and digestion of lactose, the predominant sugar found in milk and other dairy products. This enzyme breaks down plant carbohydrates and is especially helpful at breaking down phytic acid found in leafy vegetables. Because it breaks down phytic acid, it frees the minerals in plants and aids in their absorption. This enzyme is a sub-type of hemicellulase and functions to break down soluble fibre from food sources. An enzyme that is derived from pineapple, this nutrient also facilitates the digestion of proteins. Bromelain has also been associated with a wide range of diverse health benefits of its own. This enzyme is derived from papaya and serves to enhance the digestion of proteins, facilitating nutrient absorption. This enzyme supports the digestion of protein and protein-containing foods, breaking them into absorbable units of amino acids, the building blocks for the body’s regenerative purposes. The main enzyme that functions to break down lipids and improve fat utilisation. In this capacity, it supports the function of the gall bladder. Microbial lipase is resistant to inactivation by stomach acid and can digest dietary fat beginning in the stomach and continuing into the small intestine. Although this bacteria is not known to be native to the human digestive tract, supplementing with this important probiotic organism promotes a healthy bacterial balance in the intestines. Probiotic organisms have been researched for their ability to support healthy immune function, efficient digestion and the general health and well being of the digestive tract. 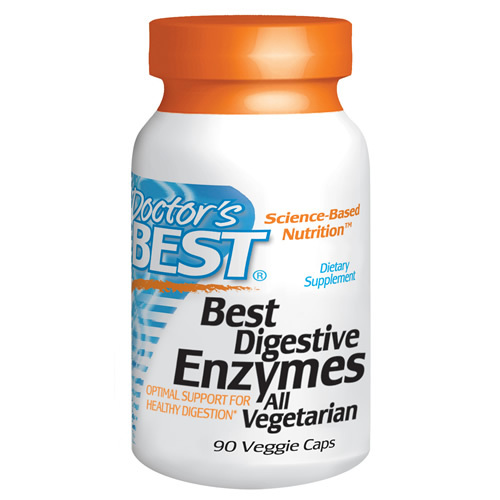 Below are reviews of Best Digestive Enzymes - 90 Vegicaps by bodykind customers. If you have tried this product we'd love to hear what you think so please leave a review. This is a great product. I’ve been taking them since January as part of a repair program for my fibromyalgia. I’ve definitely felt like I’m digesting food properly and it helps with constipation too! Thanks arrived quickly and well packaged. I find drs best digest enzymes are the best and well priced from bodykind,as well as other supplements and i recommend bodykind to anyone. Great product. They really work to break down food for easier assimilation and uptake. My only real problem is the price. You need to take one capsule with each meal for real benefits. I eat 4-6 meals per day so 1 tub will only last me around 2 weeks which totals £50-60 per month for this supplement only. And I take many supplements on a daily basis. Delivered timeously as promised, to be honest i only took them for about a week, because I made other diet changes and I wanted to wait and see the results of those changes. But I can say that my stomach was certainly much more comfortable during that week. I will return to taking the capsules when I need to. I just thought that i would reply to your request to review though its probably not very credible. Some of the best enzymes around, but totally overpriced. I find these digestive enzymes far superior to any others that I have tried for SIBO. Excellent service too. Helped with food intolerance and candida issues. A uniquely formulated, full spectrum high potency digestive enzyme blend created to complement and support the body’s own digestive capacities.